Adjustable front strut rods for the 93+ SW20 MR2. Add caster adjustment to your 93-99 MR2, while tightening the suspension by replacing the bushing with a rod end spherical bearing. These can also be used on a 91-92 MR2 by purchasing a pair of 93+ front strut rod brackets and pivot bolts. 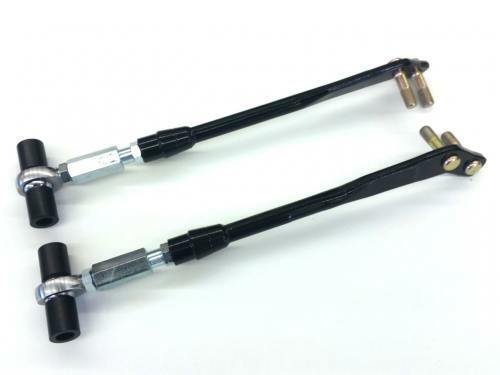 Featuring double threaded linkage adjuster for easy adjustment on the car and chromoly rod ends.. Wilhelm Raceworks front strut rods are based on OEM parts, and include re-finished OEM studs for attachment to the control arm. A strut rod core is required, and must be received before your adjustable strut rods will be shipped. If you absolutely cannot afford any down time on your car please contact me to arrange for payment of a core charge. To ensure return of cores, core charge will be $200. Currently out of stock - Available soon. Cores may be either a 91 OR 93+ style strut rod. They must be straight, but otherwise condition is generally unimportant. I am looking for extra cores. If you have a spare set of strut rods laying around I will pay an additional $40 per pair for them. 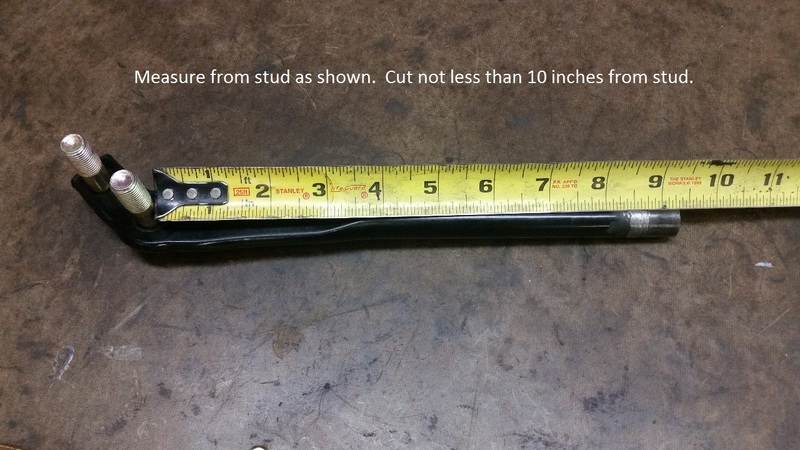 If you have the means to cut the core yourself you can reduce the size and weight to save on shipping by cutting them as shown here.